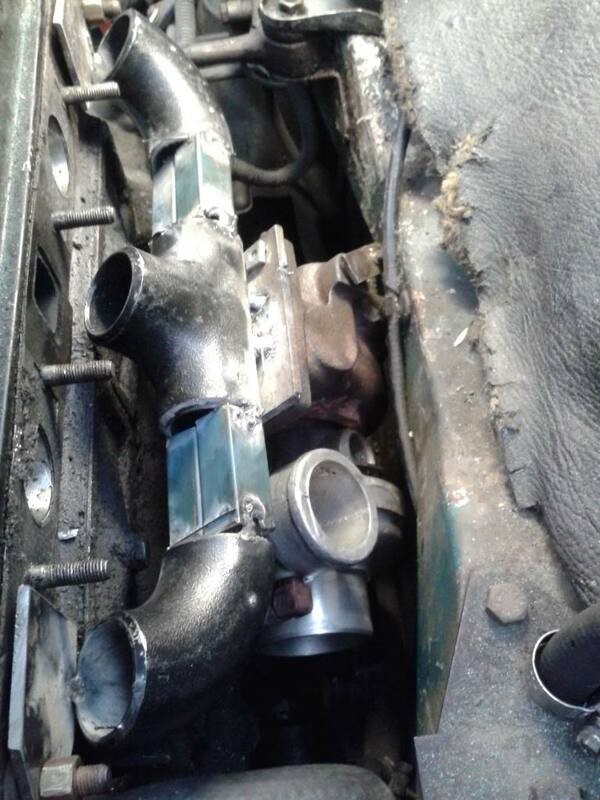 hi all new to the site as was wondering if anyone has any issuse on fitting a t2 turbo without bulkhead mods, ive bought some steam pipe 1" 1/4" as a base to start with there just seems to be only a few mm clearance, between the exhaust housing and the bulkhead. is this normal. also what size exhaust do you guys run for the dump pipe. 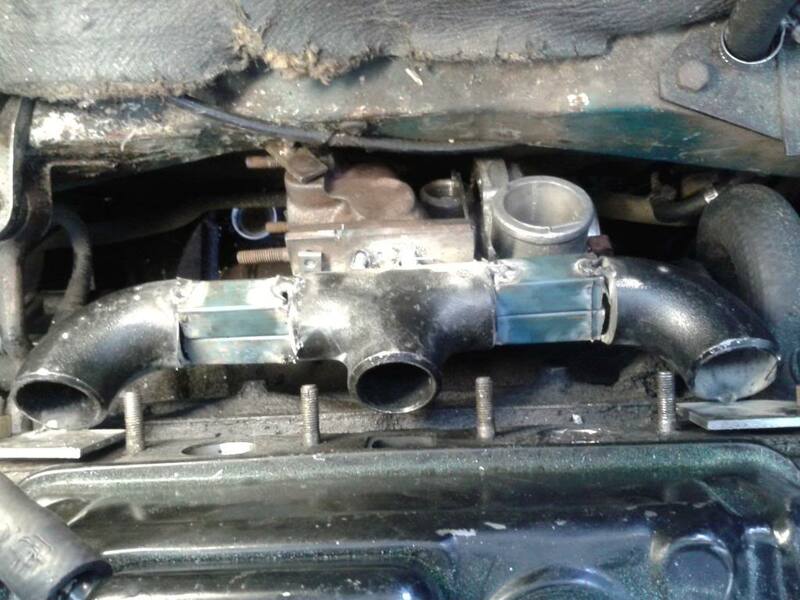 norm74 wrote: hi all new to the site as was wondering if anyone has any issuse on fitting a t2 turbo without bulkhead mods, ive bought some steam pipe 1" 1/4" as a base to start with there just seems to be only a few mm clearance, between the exhaust housing and the bulkhead. is this normal. i think you are going to be in a very tight squeeze using 1 1/4'' nominal steam pipe , im not sure how it will fit as i only use 1'' on my low mount setups. The turbo to bulkhead clearance will be tight on the turbine side and block to compressor will be very close too. thanks heaps for that. you have had no troubles with it.. so far. what did you do with the oil return did you put in the fuel pump hole or into the gearbox. with your new low mount manifold how far down does that sit the turbo, does it give it heaps of clearance around it. the turbo i got was off a nissan exa turbo. i will try to upload so pics of my car. Well its chnaged alot since then , i have had three different setups now lol. Oil return is best to go into fuel pump hole , just make sure it flows nice and use 5/8 hose. My newest setup is totaly different , but is still just as tight of fit have a look in the members cars. here are some pics of my make shift manifold. its not pretty but does the job of seeing the postion of where the turbo sits. the other pic is what i want to end up doing to the car. get rid of the SU and put a throttle body and fuel injection on it. norm74 wrote: here are some pics of my make shift manifold. 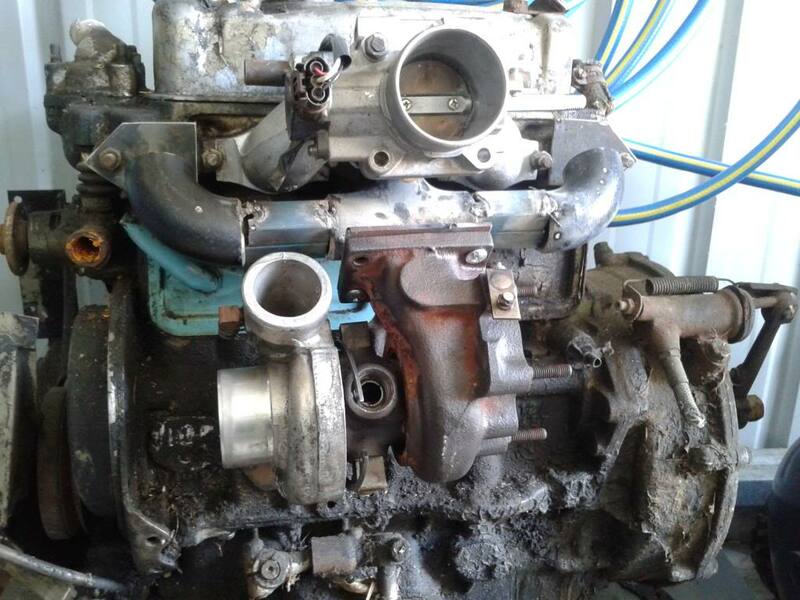 its not pretty but does the job of seeing the postion of where the turbo sits. looking good, position looks fine . If you are having troubles with room you can always extend your engine steady bars a touch if you are using a rod change gearbox. Those plates you have the manifold welded too are a bit thin ? The manifold will get alot hotter than a standard exhaust manifold so i would recommend minimum 10mm flanges. I can supply laser cut flanges if your interested?